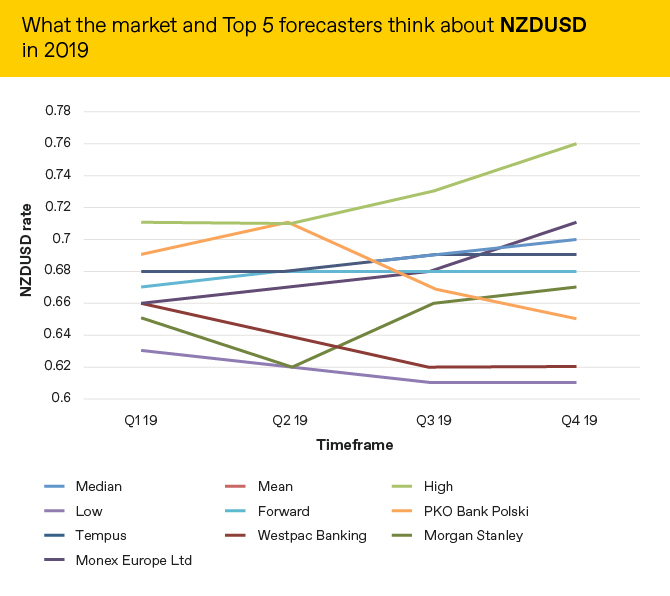 The Kiwi dollar has had a tough year marked by a Q3 low point as the Reserve Bank of New Zealand shifted their appraisal of the local economy and started to make noises about interest rate cuts. Since then the RBNZ has left the possibility of interest rate hikes on the table but has yet to act. Central banks are set in two camps at the moment; those who issue ‘forward guidance’ about where they think interest rates will be in the future and those who are data dependent. The RBNZ’s decision to pre-warn that interest rate cuts may be necessary casts more importance on to the data outlook for New Zealand. Business confidence has fallen to close to its lowest level since the Global Financial Crisis but while the hard data from Q3 will likely be poor, we don’t believe that we’ll see a continuation of the weakness and, subsequently no interest rate cut from the RBNZ. That may not be enough however to propel the NZD higher, simply lower the chances of extreme losses. Much like the AUD, the NZD does remain exposed to China and a slowing of the economy there as well as the effect that higher US interest rates will have on the high levels of household debt in the country. If you’re an optimist on the global economy then we can see NZD running higher with China fears drifting out of the price while pessimists will be looking for the Official Cash Rate to be lowered in Q1. We are leaning more towards the former than the latter and expect NZD to hold its position around 0.70 level. What do we think will happen to the Norwegian krone in 2019? What do we think will happen to the Singaporean dollar in 2019?